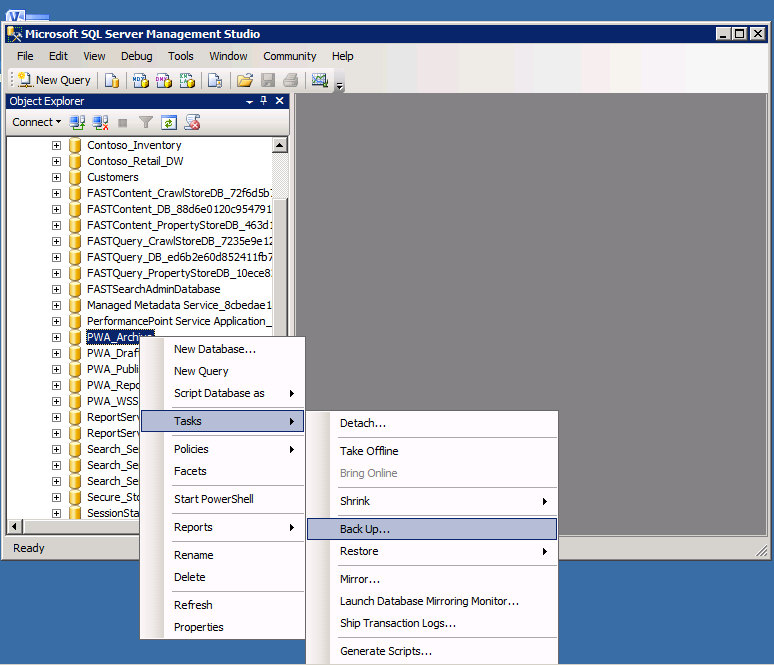 HI, last week we make a db restore of all 5 Project Server databases. Everything works fine, except one thing. You wrote “Observe that all of the sites appear to be properly linked.” but you didn’t wrote what we should do, if the sites are not properly linked :). In our Environment there are some projects, which doesn’t have a Site link, but the sites are browseable if you enter the url manually. I even tried to add the link via “edit SiteAdress”, but i only get an warning: “The website does not exist or is not configured for Project Server”. Did you have any advices? I’ve run into that with 2007. The first thing that I would try is to confirm the syntax of the URL you are entering. As I recall, it will throw that error if you have a trailing “/” on the URL – or maybe it was if you don’t have a trailing “/.” Check the ones that do work to confirm you’re using the correct URL. Thank you for posting this, it was very helpful and I could not find the information anywhere else. I was especially tripped up at the last part, with list and library forms throwing File Not Found errors after performing the five-database restore. Unfortunately I had a couple of problems with the InfoPath solution. First, Customize Form in InfoPath is not available for library forms, only list forms. Library forms such as DispForm.aspx and EditForm.aspx throw the same File Not Found error as the list forms. I was able to locate the stack trace in ULS where the exception is thrown, but I’m just not smart enough to fix the forms themselves in Designer. I’m also not quite sure what InfoPath does under the covers with list forms, but their appearance definitely changes after republishing. 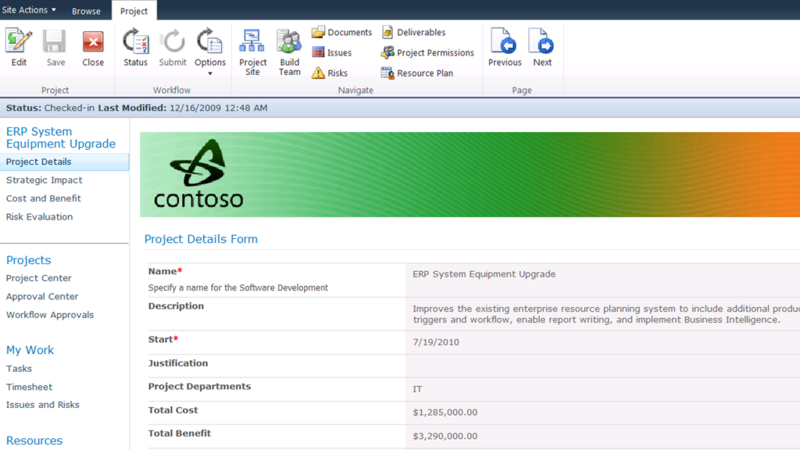 Second, to fix the entire project implementation, every list in every project site would need to be opened in InfoPath and republished. That could be quite onerous. As a work-around I added the internal URL of the old farm to the alterrnate access mapping collection of the new farm and that seems to have fixed everything. I’m not happy about hack fixes like this but I can’t see any other way to make things right. Thanks again! I have followed these steps..but when I tried to create provision new pwa on target, it gave an error saying “The Project Web App path cannot be empty. 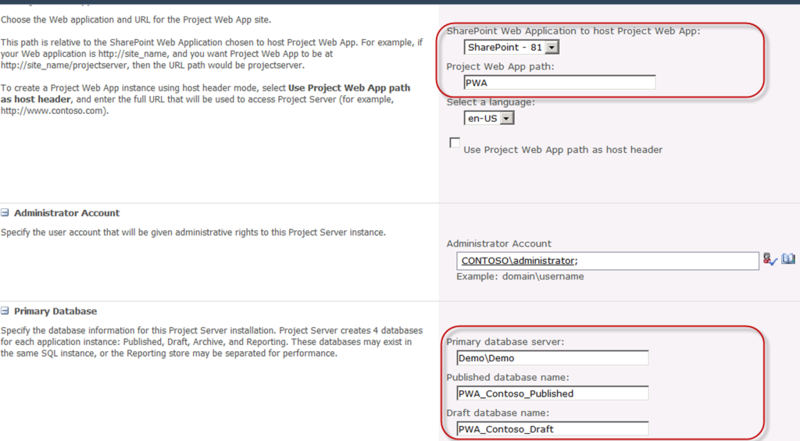 Please enter a Project Web App path. what happens if you restore to a different web app? Did you figure out a solution for this problem. I’m also stuck with this error. P.S. – It may be clear since I’m replying to this specific topic but wanted to note that i was having the same problem and can confirm the above link did resolve my issues. 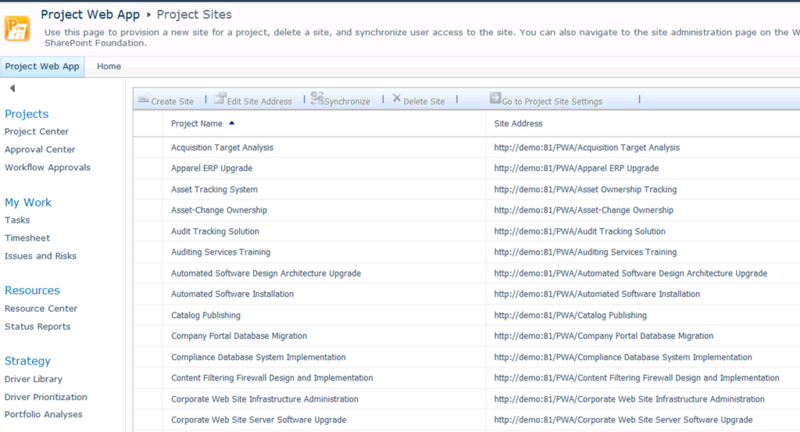 i have followed all steps, but continue with a problems in the project sites.The option “Project Site Provisioning Settings” doesn’t show site’s URL. I have a question: when do i restore the content database “original” ( http://demo/pwa) can i delete the content database “clone” ( http://demo:81/pwa)?? Thanks for your answer. Not sure I follow, but different site collections can be in different content db. So if you’ve created http://demo:81/pwa already, you need to keep the content db that the main site collection is stored within (i.e. 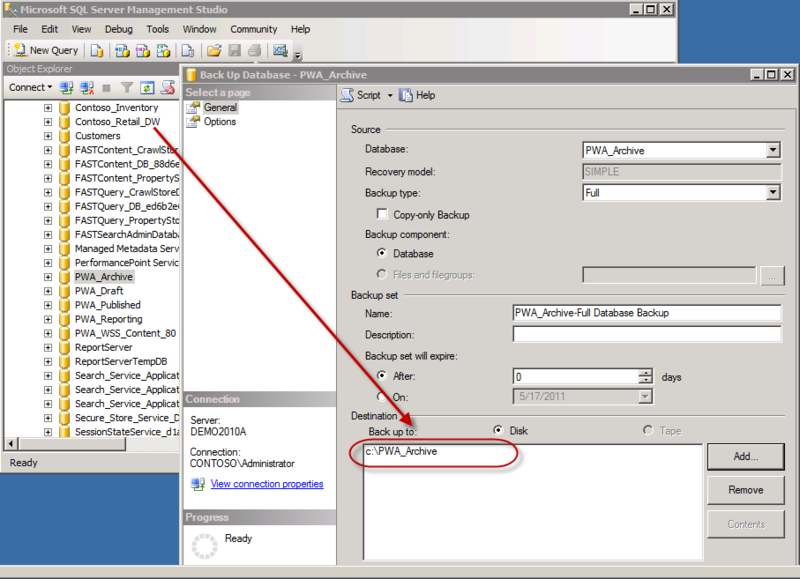 http://demo:81/) You may then restore the original content db and provision PWA within that content db to get back up and running. You’d have to test out all of the implications, and it’s been a while since I’ve tried this, but that should work. Very Big Thnx, Andrew! This post is very helpful for me and my company, i killed over 4 days and thousands megabytes of traffic for migrate my ProjApp instanse. With Best Wishes, Valer1us. Error anytime someone goes to the new PWA site. We are using classic windows authentication and it works just fine on our prod server. I’m at a loss, hoping for some help here. I am soon going to try this out. One concern though before I proceed further. I have multiple EPTs, phases, stages, and n no. of custom PDP’s in my source environment. Do all the entities, especially the PDP,s (they can be irritating to create sometimes) come up as well. We recently restored our Test environment with our Production database and PWA seems to be working except that it seems that all the links to the project PDP’s are broken. Any suggestions on how to fix this issue? The “Customize Form” method of “fixing” the form seems to do so by removing the “Links” custom field (which is of PwaLinkCustomField type). I can accomplish the same thing by simply hiding the field. Unfortunately this is a problem since I want to see this data. The “Bulk Update Project Sites” fixes *some* File Not Found errors, but ignores the embedded links in the PwaLinkCustomField, which causes Issues etc. to break the view/edit detail form when issues containing Links are opened. The field is read-only XML in datasheet view, so can’t be edited, similar to a Managed Metadata field. It is apparently a serialized PwsLinkDataSet, which retains the original URL for linked items. If anyone has any suggestions on how to recover the “Project Links” field for Issues, etc. after a 5 db restore I would love to hear them. All I can think of is directly editing them in the Content database. Sorry about that missing XML code, didn’t know it would be stripped out. Turns out the problem was the old-server URL. It can be fixed by re-publishing the project after running the Bulk Update to relink. Finally got it working with Links intact! I am having a problem with this. When I go to create the new PWA site using the same url as the old one (http://project.domain.com) I get an error saying there is already a url using that. Any idea’s on what i should try? I have attempted the Sharepoint restore, but it error’s on all the databases it tries to restore. Perhaps you created the PWA site as the top level site in a web application? That’s something that you should never do. I tried this and all is working correctly expect the Projects Sites are still linked to the Old Sites and have not changed address as shown. I am wokring on the same test server, could this have caused the issue, or have i missed a step along the way? Thanks again! Very good Instructions..Tried it! Luv it! this discussion is so helpfull. 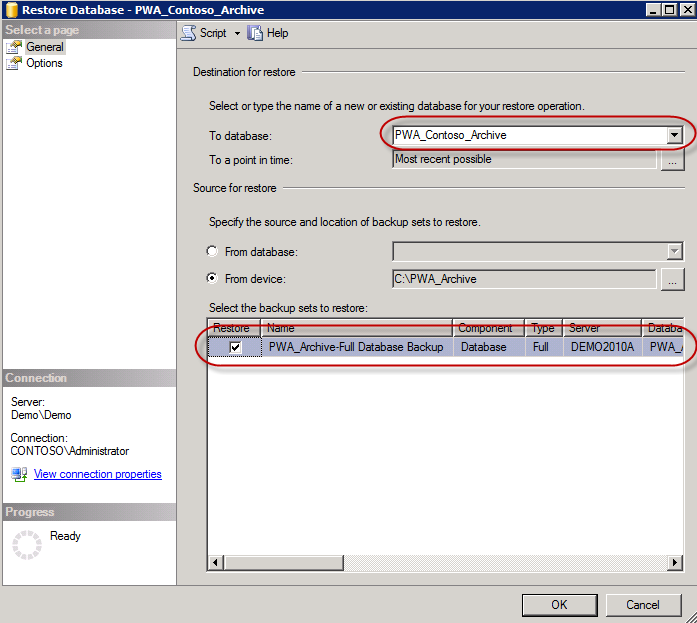 I need, an example of Archive and Publish Data base, to do some reporting test on Project Server 2010, thank you. I have a scenario where I need to restore PWA which is created on root site by giving a Project Web App Path as “pwa.abc.com” and selecting “Use Project Web App path as host header”. Thanks for the article. I attended your session in SharePoint Saturday in Houston. It was great. Currently, I am trying to take project server 2010 databases from PROD and refresh them in the DEV environment by using 5 database restore process. Failed to provision site PWA with error: System.NullReferenceException: Object reference not set to an instance of an object. Log Entry 2: Provisioning ‘PWA’: Project site object creation failed. Exception ‘System.NullReferenceException: Object reference not set to an instance of an object. Log Entry 3: ProjectSite not created. Do you have any thoughts ? Is it possible it tried to provision PWA in another content db attached to the same Web App? Instead of deleting the PWA application from Project Service Application, I accidentally deleted the SharePoint web application first. When I deleted the SP web application which holds the PWA site collection, it left some config in the SharePoint config database. This is blocking me to recreate PWA application with same name. I checked other blogs to delete orphaned PWA application and able to delete the orphaned PWA application and timer jobs but still looks like some config is left out in the config database. Found the solution and it is documented here …. Finally, I am able to resolve the issues which I mentioned above. Something in the SharePoint config or Project Server Config was corrupted. a. Created Web Application with default root site collection. b. Ensure that site is up and working fine. 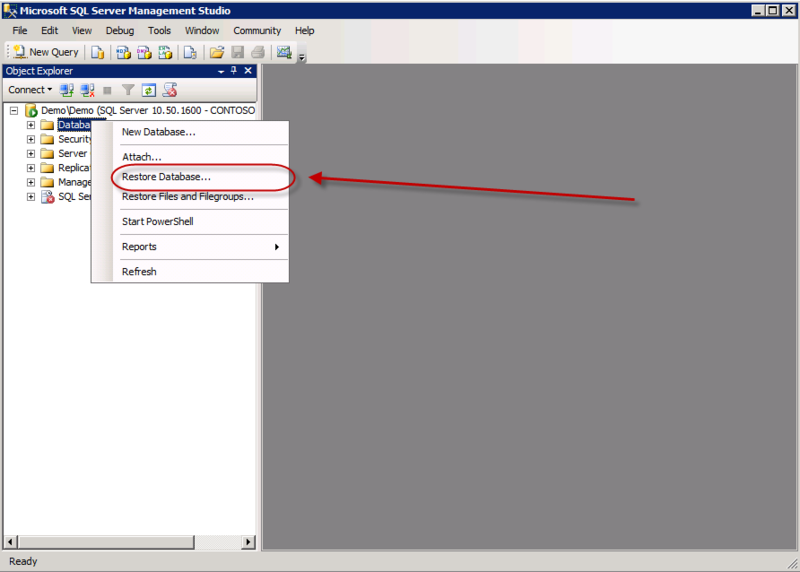 c. Go to manage content databases, remove the content database for the above created web application. d. Restored all the 5 databases in the database server. 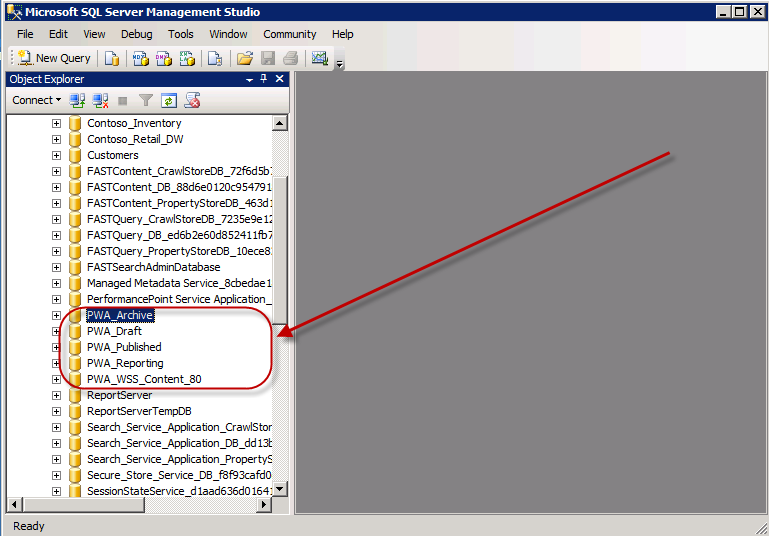 e. Attached the project server content database(s) to the web application using the STSADM command (not thru UI). After attaching, if we go to View Site Collections option from Central Admin, we should be able to see PWA site collection for the above created web application. f. Navigated to Project Server Service Application and created a new Project Web Application by pointing to restored Archive, Published, Reporting, Draft databases. g. Project Web Application provisioning took sometime and provisioned successfully. I have tried around 4 times but I am unable to Provision a new PWA site at step 5. I got an error: Failed – see the Application event Log. I have checked and seen (at http://sp2010prodcaost:1024/_admin/CNTDBADM.aspx) that when I attached content DB to WebApplication. It have contained 1 site collection already, it is correct? I restored the DB’s as per the steps mentioned above but now I cannot view the Project Schedule with my log-in. When I log-in with service account, then I can view the Project Schedule. Please help! May be an issue with the user profile service not being restored. What is the ULS log error you observe? This might caused by security. 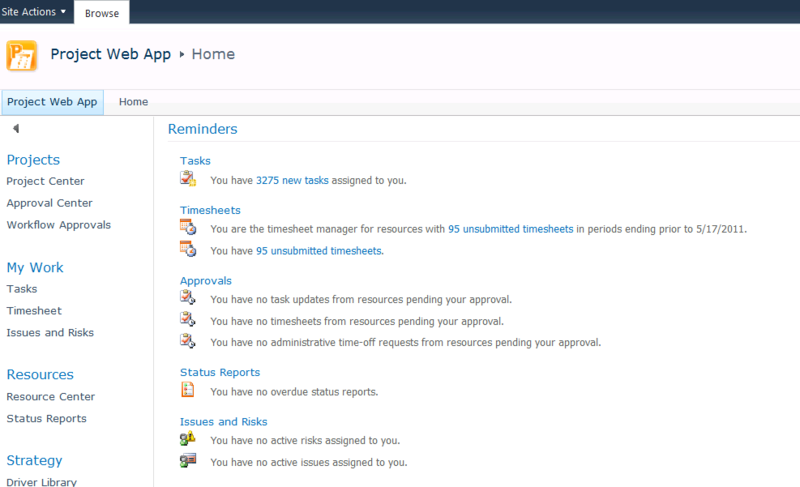 Have you check your log in account have permission to view Project schedules? or your login account is in PM group or category group,.. Thanks for this detailed post. All went well except the parent PWA site data was overwritten within the content db. The sub-site data still exists, but is orphaned due to the new parent site guid. Was the content DB supposed to be in a read-only state? Prod > Dev Same SQL Server Different instance. Same patch level. One difference was Dynamic WF feature is not installed in dev farm.